The Mind’s Eclipse is a stylistic visual novel told with text and stark black-and-white imagery by an indie dev team from Durham, N.C. It’s due out this fall. The team’s leader, Donald Campbell, took the time to answer some questions about their project. Q: What’s the premise of The Mind’s Eclipse? A: The Mind’s Eclipse details one man’s journey to find his family in the aftermath of a technological catastrophe. With a large focus on narrative, the game’s story unfolds via beautiful hand-drawn scenes, engaging dialogue, and uncovering hidden messages left behind by those that came before you. Q: How has the story evolved? Did it start with a plot, a single line of dialogue, a vision in your mind? A: The concept for The Mind’s Eclipse started a couple of years ago when I was writing some short stories. I had ideas for two separate science fiction shorts. When I decided to make a video game, I took the basic concepts from these and combined them into something grander. Very quickly, I realized that I would need help, so I enlisted Chris (Howell) and Langdon (Herrick) to help make this a reality. When they came onto the project, they really helped to show me the story I was trying to tell. They helped to make this monster of a sci-fi opera simpler and more relatable. Q: What inspired the pen-and-ink visual style? A: I love black and white photography and reading black and white graphic novels. When you take out the flash and distraction of color, you can really boil a scene down and ask “Ok, what are we really trying to say with this scene? What are we trying to communicate to the player?” The minimalist style has us make some hard decisions when it comes time to compose those scenes, but I think the overall experience is better for the player. Ren’Py – an open source visual novel engine. Q: How big is your indie team? How did the team come together? A: There’s five of us now. I had this crazy idea to make a short story into a video game, but I wanted some help to make it as good as possible, so I just went out and asked people “Hey, you wanna make a video game?” I think it worked out pretty well. We’ve got some really talented people working on this. 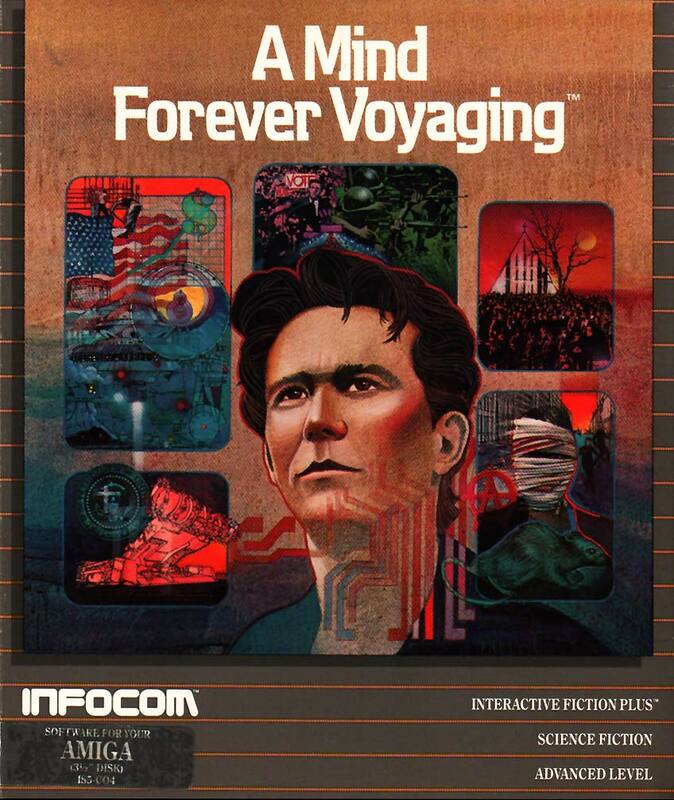 Q: I’ve seen the game compared to Infocom’s classic A Mind Forever Voyaging. Was that sort of game an inspiration for The Mind’s Eclipse? A: Actually, no. I had not heard of this game until after we launched to Greenlight. Another misconception is that we were inspired by System Shock or SOMA. None of us had played those games until we were far along into development. I went back and played these two after getting some feedback from fans for the very early builds. It’s fun to see how writers approach similar science fiction topics from different angles. I hope to play A Mind Forever Voyaging in the future, though. Q: What video game has left the most lasting impression on you? A: Homeworld. Love the gameplay, the spaceship design, and the little narrative bits at the beginning of the game. I remember the first time I watched that opening cutscene. Very powerful. 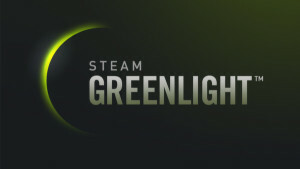 Q: What did you learn during the Steam Greenlight process? A: I think we were atypical of a lot of indie games. We were greenlit in about 1 week which is crazy when you think of some of the other great projects out there that are taking longer. However, I believe our visual art style really helped us stand out on the main page and reinforces the idea that people love to see something unique, especially in this increasingly crowded space. In terms of the visual novel genre, I really do think that we are making something special when you take a look at the vast majority of the other visual novels being placed on Steam. We made a really entertaining (and short) video that did a great job communicating to people the tone of the game and what gameplay to expect. This is crucial since (supposedly) the time people spend on your Greenlight page is very, very short. We tried our hardest to get press coverage and YouTube Let’s Plays during the Greenlight week. We went as far as to get an article on Kotaku and a nice 10 minute mention on the Mature Gamer Podcast (UK). These things really helped drive traffic to our page after the first couple of days when traffic slows to a halt. Q: How have you been marketing the game in the lead-up to launch? A: Social Media, Social Media, and Social Media. We also love a face to face interaction with our fans, so we travel to conferences. We were recently at the East Coast Gaming Conference in Raleigh. This was the same week as our Greenlight launch. We wore shirts with COSy’s face and handed out flyers about our game. You have to do this stuff or no one is going to know about your game. We will be attending Gameacon in Atlantic City in October. 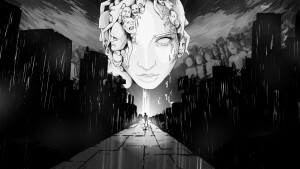 We’ll have a booth and physical copies of The Mind’s Eclipse Demo available as take-homes. Q: How do you think AI will change the way our world works in the next two decades? A: I’m not altogether sure. But I do have an idea about the Eclipse. You’ll just need to play our game this fall to see it.